In .NET, source is compiled to an platform-neutral intermediate language called Common Intermediate Language. 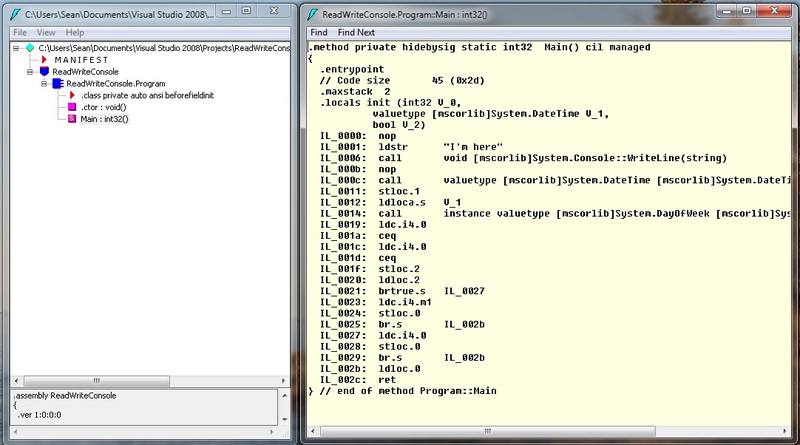 The IL is later compiled into native code at runtime, running in a virtual machine. Alternatively, you can just type “ildasm” in the Start Menu search box in Windows 7 or Windows Vista. IL code for any method implemented in the assembly. Here’s an example of what is displayed in ILDasm.